Hard to believe it is nearly the end of the year. But…it is here. I will be taking time until the end of the year so I am doing my “year-end” post now. I launched this blog – Oracle Data Warrior! At the stroke of midnight on January 1, I hit publish for this posting. So far I have had over 22,000 views on the site with the best/biggest day drawing 294 views on September 24th. People came to check out a free promotion for my new Kindle book. So far 78 of you have subscribed to this blog and hence get notification whenever I post something new. Thanks for your support! (For the rest – subscribed now so you don’t miss anything in 2013). In January I also launched the Year of the Data Vault by going to Dan Linstedt’s Data Vault certification class in Montreal. It was a great class. Check the January archive for my posts about the class. Also big in February (every year) is the RMOUG Training Days in Denver, Colorado. This year I did the first ever remote presentation via skype as part of their pre-conference seminar on data warehousing. My presentation was, of course, on Data Vault. There were a few technical issues but with the help of my good friend Jerry Ireland we got through it fine. (Note: For RMOUG 2013, I will actually be presenting in person). I filed with the state of Texas and formed Data Warrior LLC, signed my very first 1099 (independent) contract and became an official business. The Data Vault Training Portal was launched. You can read my post about that here. Business wise, I started the 1099 contract work at MD Anderson Cancer Center and got to work building a data vault for one of their internal projects. On the blog, I made some modification to the layout and added a War Chest page with links to some resources that cost a little money (as opposed to my White Paper page which has Free stuff). After one month of being an independent contractor I bought my first smartphone – an LG Nitro. I am not really a huge gadget guy so I had put this off for sometime but finally gave in so I could tweet at the upcoming ODTUG conference in San Antonio. Of course this means I signed up for Twitter. You can find me there at https://twitter.com/KentGraziano. The Data Vault modeling book, hit #1 on Kindle. I got “promoted” to Oracle ACE Director (and found out via a Facebook post!). And of course there was KScope12 in San Antonio, Texas. I taught Chi Gung every morning at 7 AM and blogged about the event every night (at about midnight). Just check my June archives for all the posts and plenty of pictures. Slowed down a bit here. Recovered from KScope12 (started planning for KScope13). Wrote a bit about work/life balance and posted this cool InfoGraphic. 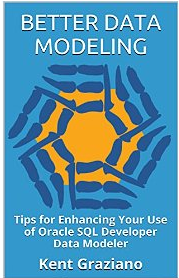 Another first for me in August was I published my first eBook on Kindle about data model design reviews. Then we had an excellent family vacation with my father back east. We drove through the Adirondack Mountains in New York State and then to the Green Mountains of Vermont where we stayed at the Trapp Family Lodge. It gets my highest recommendation for a family friendly, environmentally aware, upscale, outdoor vacation resort. Pay the money and go – you only live once! This was another big and fun month – all about Oracle Open World 2012 and getting to attend my first Oracle ACE Director meeting at Oracle HQ. Like at KScope, I blogged every night in the wee hours to capture what I saw and learned that day. The smart phone got a lot of use taking pictures in session and around San Francisco. It is all logged in the September archives. Actually OOW 2012 bled over into October so there are even more posts and pictures in the October Archive folder. The other biggie in October was that I finished out my contract at MD Anderson Cancer Center and started a new gig at McKesson Specialty Health (US Oncology). This has turned out to be a great project with a good team (like I had at MD Anderson), but with the added benefit of only being 9 miles from my house. This is the shortest commute I have had since college! Saves me 2.5 hours a day in driving. Needless to say, that is a very nice aspect of the job. The highlight of the month was attending the 20th Anniversary celebration for the International Combat Hapkido Federation. 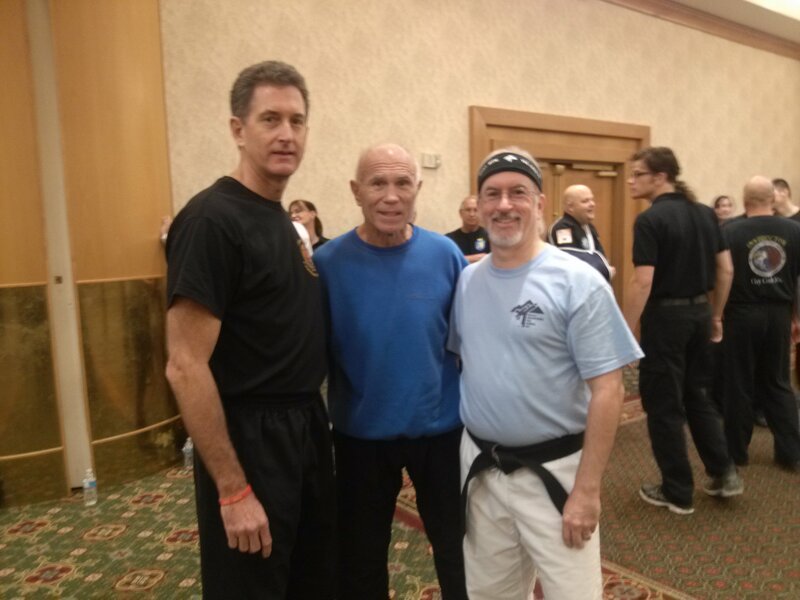 I have been attending their workshops and seminars for over 15 of those years and have had the privilege to train with several of their master as well as their founder and grand master John Pellegrini. Combat Hapkido is a very practical martial art for self-defense and a lot of fun to learn and practice. It was a great event with back to back workshops (i.e., work outs!) with many masters and grand masters. We got training in Tai Chi, stretching, conditioning, kicking, Filipino Escrima, ground survival, and pressure points. There were actual martial arts celebs in attendance including Bill “Superfoot” Wallace, Cynthia Rothrock, and Stephen Hayes. Since my main art is Tae Kwon Do, I was very privileged to meet and train with Grandmaster Bill Wallace (who actually has signed my last two black belt certificates along with GM Pellegrini). GM Wallace’s session was challenging and fun. He is quite entertaining. At 67 years old, GM Wallace can kick faster and higher than pretty much everyone I have every trained with. I can only hope to be doing so well when I reach that age. For more pictures from the event, you can subscribe to my newsfeed on Facebook or like my page. You might even find a picture of me in a suit! And now we are up to this final month of 2012. 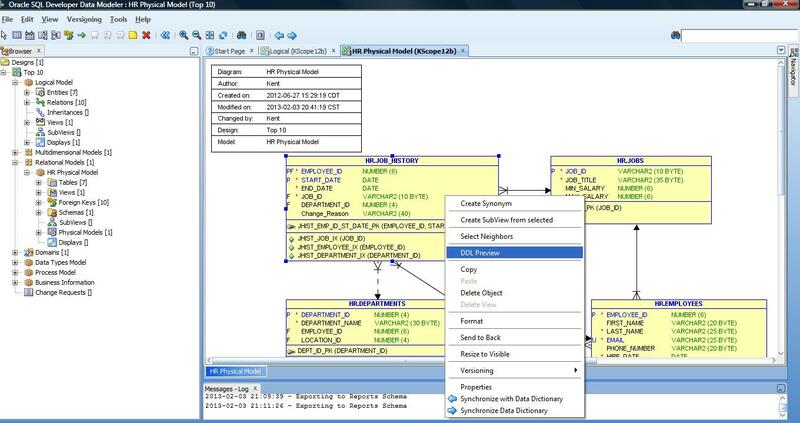 I have been very busy with my work at McKesson so have only got one post out about the newest release of SQL Developer Data Modeler (which I use nearly every day!). I did however recently get notification that I had several papers accepted for presentation at the ODTUG KScope13 conference in New Orleans next June. Be sure to register for that event too! Stay tuned for 2013 and see what happens. Enjoyed the recap and all the links. Happy holidays! Thanks Raphael! I hope we get a chance to meet in person again in 2013.